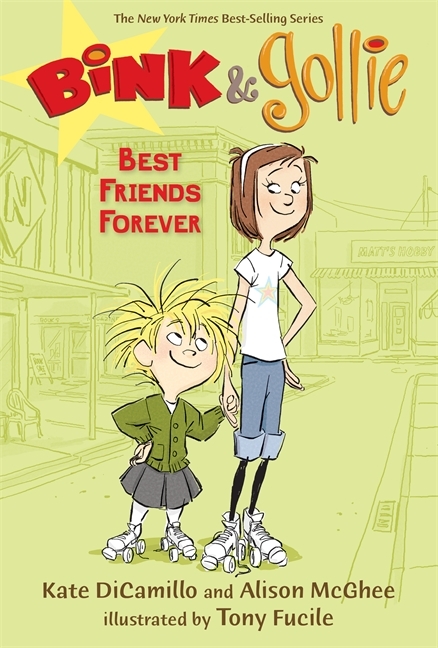 I think that Bink & Gollie : Best Friends Forever just might be the third and final title in Bink & Gollie series. The first two books, Bink & Gollie and Two for One are both available in paperback and a breath of fresh air when it comes to beginning readers. In Bink & Gollie : Best Friends Forever we get three new stories, "Empire of Enchantment," "Why Should You Be Shorter Than Your Friends?" and "Kudos, Bink and Gollie." In "Empire of Enchantment," Gollie discovers a photograph of a relative taken in 1908 and, because of the crown on her head, assumes she is descended from royalty. Bink thinks this good news means pancakes and retreats back to her home when she realizes it really means being a subject. Finally, Gollie's crown grows heavy and she finds herself lonely and ends her reign. "Why Should You Be Shorter Than Your Friends?" is a hilarious story that involves the mail-order Stretch-O-Matic and Bink's attempts to assemble and utilize it and amaze her friends. Finally, "Kudos, Bink and Gollie" finds the friends at Eccle's Empire of Enchantment looking to collect something that will get their picture in Flicker's Arcana of the Extraordinary, Volume One. 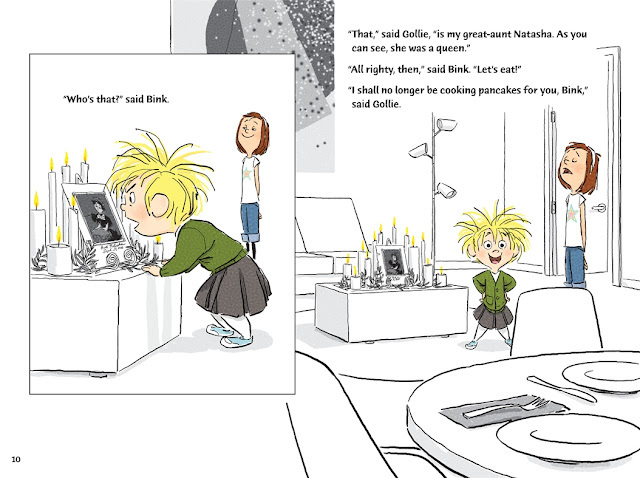 The story ends with the same mixture of sweetness, silliness and togetherness that is embodied in all three of these wonderful Bink & Gollie books.